There is still time to register. 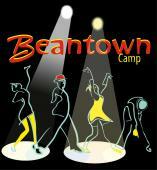 This will be Beantown’s 18th year and we know it is going to be awesome from start to finish. So much is coming together that has us very excited! Camp runs from June 26 to July 3 with multiple registration options. Do the whole shebang if you can. There is so much that you will not want to miss!